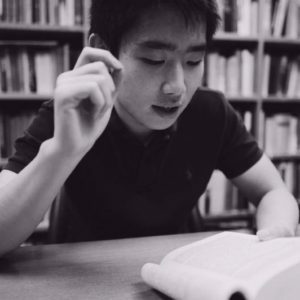 Chuan Xu is a doctoral student of modern China interested in governmentality studies, media archaeology, critical theory, and history of science and technology. His previous project, titled From Sonic Models to Sonic Hooligans, examines the role of magnetic tape in the rise and fall of Maoist China’s sound regime. His current project studies the shifting epistemic practices in the early post-Mao period through the lens of paranormal research, a decade-long mass movement in which everyone from prominent scientists to illiterate peasants conducted experiments and observations to corroborate and contest the existence of human superpower. Through this project, he seeks to illustrate how the emergence of post-Mao China was as much an epistemic event as an economic, political, and cultural event. In another project, tentatively titled Math for the Masses, Chuan studies the development and application of operations method (tongchoufa) and optimization method (youxuanfa) in the context of Maoist China. He has also written on the intellectual impact of cybernetics in United States and China, particularly with regard to the development of Graphical User Interface and the rise of economic cybernetics. Before coming to Columbia, Chuan received his B.A. and M.A. in History at Stanford University, where he also developed an interest in computer programming. In his spare time, he enjoys going to remote corners of the globe with broad horizons and starry skies.